Olive Oil has been produced for thousands of years. Originally, olive oil was used as lampante or lamp oil. Production was largely centralized to the Mediterranean, Asia Minor, and North African regions respectively. Did someone drop a piece of bread into a fresh batch of lamp oil? Perhaps but we will never know. Today, however, Olive Oil production occurs in a number of countries across the globe, from Italy, Spain, Greece, Portugal, The USA, Chile, Australia, Uruguay, and even a small little grove in British Columbia. 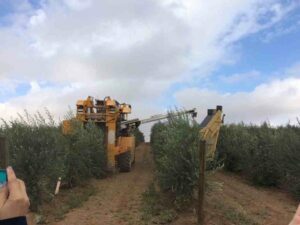 Did you know that California has been producing olive oil for 500 years? Amazing olive oil at that! When it comes to good quality olive oil, there are a few basic elements to keep in mind. Most consumers are familiar with ‘Extra Virgin’ as a designation, however this is a slightly outdated term. In fact, the terminology of ‘Extra Virgin’ was coined by the Romans to stop the practice of throwing hot water onto the olives before, and during crushing. 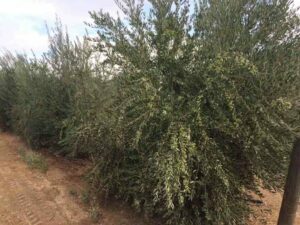 The process of throwing hot water on the olives meant that more fat (and therefore olive oil) could be extracted, but the quality of the oil was significantly diminished as a result of the higher temperatures. As the Romans were quite particular about their oil, they enacted these types of measures to better control the quality of Olive Oil being produced at the time. Today, consumers should look for ‘Cold Pressed’, Olive Oil, and meaning that the olives are hammer crushed, milaxxed and separated, the temperature of the fruit and oil does not exceed 28 degrees Celsius during production. The ‘Extra Virgin’ designation today means that Olive Oil must fall within specific chemical parameters by the certification body, and must not have any taste faults. In order for an oil to be considered truly ‘Extra Virgin’, olive oil must possess a taste profile of fruitiness, pungency and bitterness. 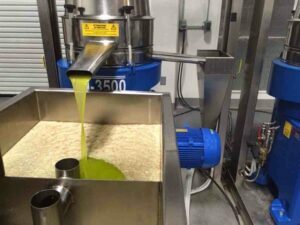 Olive Oil should be tested at the time of crush by an independent third party laboratory, with a specific focus on the levels of Free Fatty Acids (quality of fruit at the time of crush), Peroxides (the level of post-production oxidization in the olive oil), and finally Polyphenols (naturally occurring anti-oxidants). 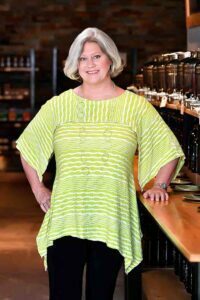 These are all questions to ask purveyors and arm yourself with the knowledge to chose appropriate olive oils. It is even better to taste them to see if they are to you liking. If they pass qualifications then you should enjoy the taste as well! Olive oil should not also feel heavy or greasy in you mouth, nor smell like musty basements, old cottages, olive tapenade, hockey gear, or waxy crayons. It should smell like fresh cut grass, herbs, fruits, or dried or fresh herbs. Independent tests from The University of California Davis have shown that up to 75% of olive oil on store shelves is expired, rancid, or blended with other flavourless and odourless nut and seed oils. So how do you safeguard yourself as a consumer? While Olive Oil may have both a complex history and chemical profile, buying olive oil doesn’t have to be quite so complicated. Consumers should look for date of production, not expiration as well as UV protected bottles, as direct sunlight is one of the biggest enemies of fresh olive oil, and most importantly, a trusted and certified purveyor of olive oil. Olive oil should, at the very least, have a slightly fruity, grassy, and peppery taste. It should give you a little hit in the back of your throat like a tickle. Fresh, quality olive oil has been positively associated with lowering cholesterol, blood pressure and even decreasing the risk of coronary disease. It protects our skin, brain, heart, and lowers body inflammation associated with diseases like diabetes and inflammatory bowel conditions. At its most simple, olive oil is simply a fresh pressed fruit oil: a stone fruit like peaches, pears and plums. Did you know that in Greece the daily consumption is 1.2 cups per person per day? The FDA recommends 2 tablespoons per day and Harvard Journal of medicine recommends ten tablespoons per day in association with a plant based or balanced diet? Add it to salads marinades and even drizzled over popcorn! A god olive oil has a smoke point of 425 degrees so cook, roast, and grill with it as well. Eating healthy doesn’t have to be complicated, and good quality olive oil is a delicious way to add flavour and nutrition. Keep an eye out for freshness and fruitiness, and you’ll find that olive oil can easily become a flavourful staple in any kitchen.